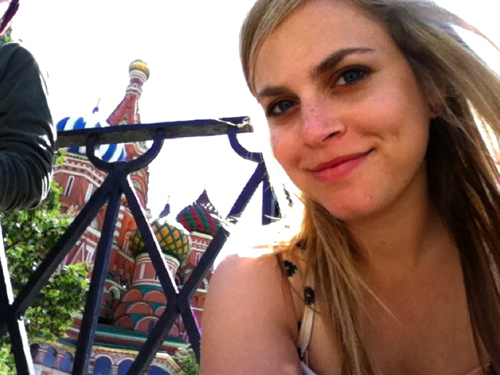 Introducing Devon Iott from Miss Make! It's me, Christine! You might have noticed on our schedule that there’s a new teacher. 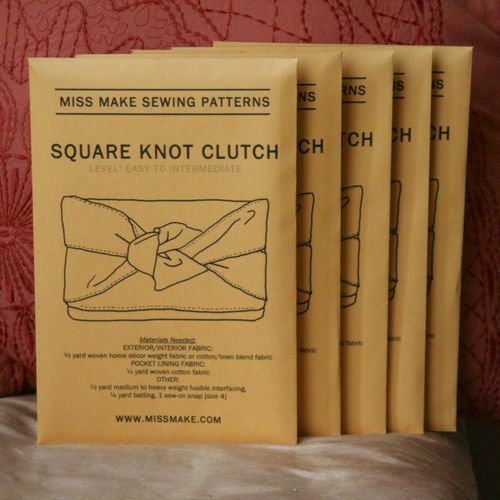 I’ve known the lovely Devon Iott of Miss Make for many years now, and I’m thrilled that she and her adorable Square Knot Clutch are coming to Sew L.A.! Devon’s first class is on January 31 - it's already sold out - with another session coming up later in the spring on March 24. 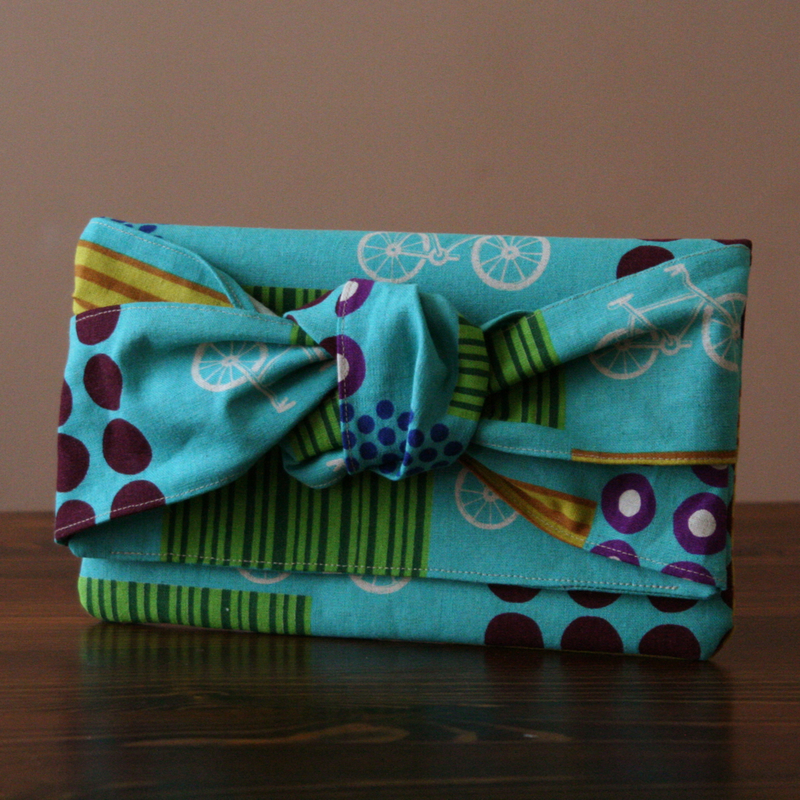 The clutch is adorable and only a second level beginner class, so many of our students are eligible to take it! I thought it might be nice for you all to get to know Devon better, so I asked her a few questions about life, sewing, and celebrity crushes. Read on below and when you spot her in the shop, say hi and introduce yourself to her! Welcome Devon! Tell us about yourself! Where are you from and when did you start sewing/crafting? I grew up on a farm in rural Ohio. I've always loved making, baking, and creating. My mom had a sewing machine that I used to play around with, and my aunt was an uber-crafter and quilter. She always used to get me the coolest crafty birthday/Christmas presents that helped get me hooked when I was young. Now I can't stop! What is your main craft now? Is it sewing, or are you busy with other creative ventures as well? My main craft is sewing, but I also do a lot of knitting and crochet. I find that what I'm compelled to make is affected by the seasons – when autumn rolls around I'm suddenly all about yarn hoarding and crocheting, but when it's spring again I shift back to fabric and sewing. Beyond that - nothing is really off limits. My craft supplies closet is a terrifying bottomless pit filled with everything from acrylic paint to jewelry findings to mosaic tiles. 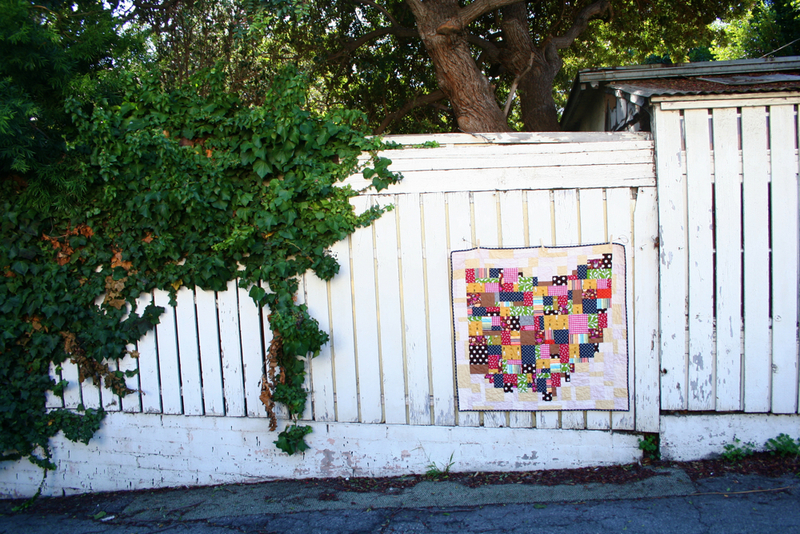 Quilts! I get an immense satisfaction out of arranging and rearranging colors and patterns and seeing how they affect one another. It's almost like creating a painting or collage, but at the end it's something soft and snuggly that you can use. I like that, art in an everyday object. What is your favorite tool when sewing? My Gingher dressmakers shears. I feel like they should be stored on red velvet under a glass case. They are beautiful and divine. What fabric do you love to work with and what do you dread sewing? My favorite fabrics are modern quilting cottons with a little whimsy. Heather Ross is my favorite fabric designer. The part that I dread the most about sewing is cleaning up! I'm not very neat - I usually get excited about something then go on a sewing rampage without any thought to the mess I'm making - and then at the end there are always pieces of fabric and thread and lint everywhere. I'm the most inspired when I see an unexpected juxtaposition of colors that somehow works. Sometimes I'll be organizing fabric and carry a piece into a different room and suddenly it looks different because of the new environment it's in. I love that! 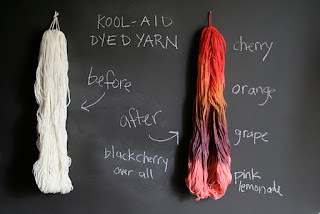 I'm also inspired by the endless stream of other crafters' projects on the internet. We are very lucky to be able to visually share what we make so easily. Have any favorite projects or recent successes to share? I'm excited to have built up my website to have pretty regular traffic with around 1,000 hits a day. A few months ago someone in Zambia emailed me to tell me that she had made my Spiked Lavender Lemonade for her and her boyfriend to enjoy while they watched the Zambian sunset. That made me sooo happy, that someone on the other side of the planet had looked at my blog and made one of my recipes. To me that's what it's all about. I see on your blog that you're also quite a cook! Tell us more about that! I love being in the kitchen! Baking is very therapeutic to me. It's a calming process that allows my mind to wander in a relaxing way. I also love food, so that helps. 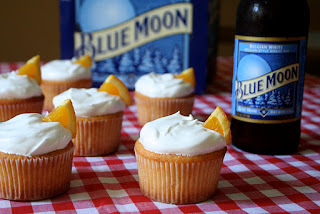 My most popular food post by far is my Blue Moon cupcakes recipe. The idea just hit me one day, and I thought YES! That needs to happen. Now. And apparently other people agree. 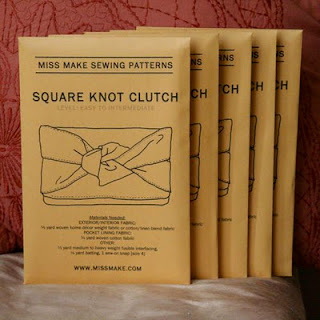 What are your future plans for your line of Miss Make Sewing Patterns? I'd love to add some more designs to the mix (I have a few in the works) and try to get them into a few more stores in the area and across the country. Your class project, the Square Knot Clutch, is adorable and a great project for beginners! How did you come up with it? Thanks! It was in a desperate response to a bout of craft-starvation while I was at my parent’s house last year. I hadn't made anything in DAYS [how terrible] so I went to the closest fabric store for supplies and just started playing around. I'd had the rough idea for a clutch in my head for a while and I just wanted to see if it would work. It did! 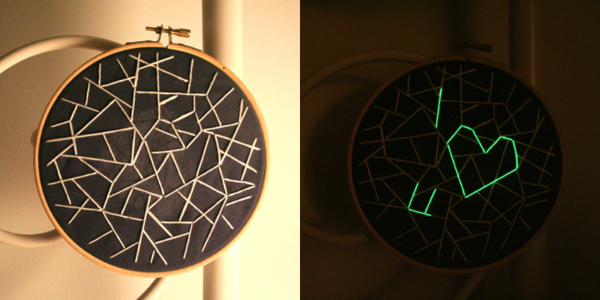 When I got back to LA I tweaked it a little and worked out the pattern. Celebrity Crush: Paul McCartney, forever. Best Celebrity Sighting: Reese Witherspoon AND Jake Gyllenhaal together when I was working alone in a store in Malibu. She bought a pair of socks! Thanks Devon! And welcome to our Sew L.A. family! We all love the Schoolhouse Tunic from Sew Liberated. It's pretty easy to sew, it lends itself to many different types of fabric, Sew Liberated was one of the first indie pattern companies, and it's EASY TO ALTER! 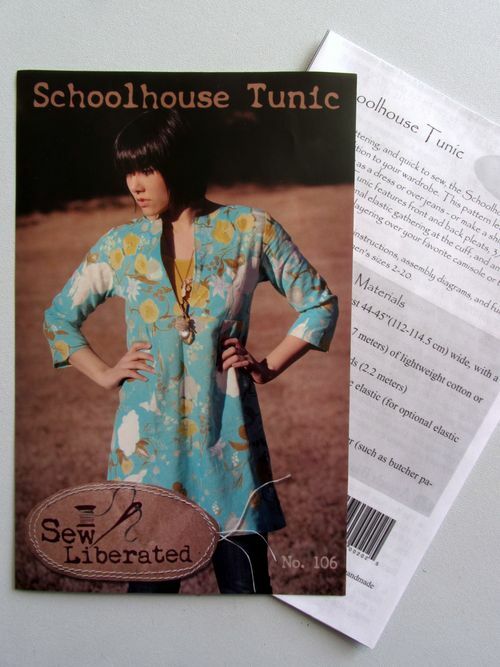 This tutorial is great if you have already taken our Schoolhouse Tunic class or if you are sewing at the intermediate level. I personally need a little bit of shaping at the waist, even if it's a garment that I want to pull on over my head. So I added waist darts to my first try... and quickly realized that I wanted to close up the front so I didn't have to wear a camisole all the time. Here's an EASY method for closing up the front of your Schoolhouse - you can add waist darts or not - if you do, make sure it still goes over your head easily by sewing a muslin first from your altered bodice pattern! You'll need a pencil, your clear ruler and your pattern - just cut around the front bodice pieces and the placket to separate them, don't cut your size out yet. If you are working from a pattern that has already been cut, you may need to add a bit of tissue to the bottom edge if you are adding a waist dart.